iLucki Casino is based out of Curacao and has already gained a solid following as a reliable and well-run gambling institution. Another of its best attributes is that it only has five countries on the restricted list, meaning punters in various countries like Australia, Russia and Germany can play at this casino. For those new to online casinos, ILucki is one of the new breed in the industry with over 3000 games from various software developers, some great sign up offers and promotions and plenty of easy deposit options, including cryptocurrencies. This article will teach you everything you need to know about iLucki Casino. Opening a new account at iLucki casino is as simple as visiting their website and following the prompts, although the fact there is no “sign up” button can make it confusing. Instead hit the login button and on the popover that appears you will see options for opening a new account, including the ability to login via one of your social media accounts, which basically fills in all your information for you. The other option is to enter your details manually and use an email address to complete the application. Before you are able to deposit real money you will need to confirm your email address by “Confirming your email” in the link they send to your address. Before you can deposit you must fill in your personal details which you will be prompted to do when you visit the banking section, these will include your name, address, telephone number and the currency you wish to use in your account. iLucki Casino launched in August of 2018 on the Softswiss platform and is owned and operated by Direx N.V which is homed in Curacao and is governed under these laws. Like many of the casinos based out of Curacao there are few names openly attached to the running of it, which is because they operate in many countries where the gambling laws could be considered strict or grey – like Canada and Australia. But to put your mind at ease, other gambling sites have been operating under this company’s moniker for many years and there have been very few customer complaints. iLucki Casino has a swag of bonus offers and promotions available for new and existing players, including 10 free spins just for verifying your email address when you create a new account. Yes that’s right, something for nothing. This bonus is available to players of many currencies but varies slightly depending on the one you are using, after taking into consideration things like the strength of the currency on the global market. 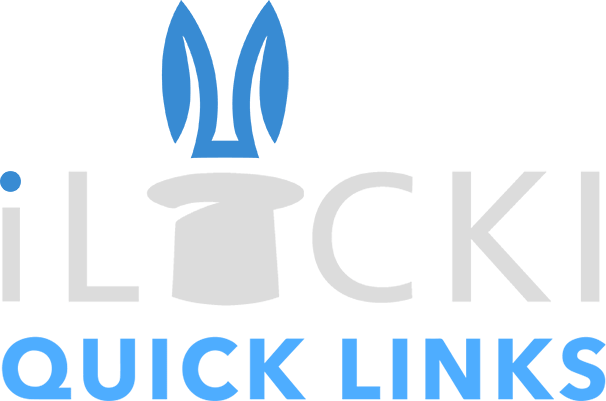 iLucki.com has five different options for new players to take advantage of, with these bonus offers getting increasingly better the bigger your initial deposit is. * You can view the bonus amounts for different currencies in the exchange in the terms and conditions of the welcome bonus on the iLucki website. Happy spins Wednesday: Every Wednesday players can get 10 free spins for depositing 50 Eur or equivalent; or 30 free spins for depositing 80 Eur or equivalent. Weekend cash back offer: Receive 10% cash back on Monday for any action between midnight on Friday night and midnight on Sunday night. There are no wagering requirements attached to this offer. When you open a new account at iLucki you are automatically signed up at the VIP program, which allows you to receive free spins and bonuses with a lower wagering requirement than other bonuses on offer. The console accessible from your account area clearly shows how many rewards you have earned and prompts you to play the right slots to boost your bonus offerings. With the outstanding Softswiss platform in operation at this casino, it means there are upwards of 50 different games providers available for your consumption. Because many iGaming software companies don’t allow their games to be played for real money in countries where they are unlicensed not every game will be available to every player. As of February 2019, the following games providers are active on iLucky. While iLucki does not have any apps available for either Android or Apple devices, they do have a fully responsive mobile website available, which has great functionality and an easy to navigate layout. What can you expect? Basically the same as the desktop website except less game options, because not all game providers make their games available on mobile. Unfortunately, unlike other casinos, there are no live dealer games available on mobile, although this could very well change given they have live dealer games from both Ezugi and Net Ent who both do support mobile play. Another feature of this casino on mobile is that there are all of the same deposit methods you would find on desktop. As with all online casinos that are trustworthy you have to verify your account before you can cash out, this is because of anti-money laundering laws, and is one way to ensure a casino treats its players honestly. After you have an account at iLucki you will see a link “documents” on the left hand side of your screen, which will allow you to upload the necessary information to verify your account. Things you will need to provide include proof of identity (passport, license etc), proof of address (utility bill or bank statement etc) and proof of deposit (screenshot of your online transaction from your banking account). Sometimes, depending on your deposit method, you will have to provide further information about your initial deposit. None of these requests are anything out of the ordinary for the online casino industry. iLucki Casino is licensed in Curacao and while not the most respected jurisdiction out there, it does allow players in grey or black markets the ability to still receive some protection when playing at an online casino. As always one of the best ways to get a handle on an online casino is through other players thoughts and experiences, so feel free to leave a message below or if you need assistance in reaching the casino drop us an email at contact@worldgamblinglist.com.